We are here at the JG & M EXPO in Tucson, AZ. I will be leaving early this year, but Danny thinks he will stay for the last week of the show. I am flying home on the 11th because I overexerted it setting up the show and have had a set back from the last surgery. So I have to go back home to deal with it before it becomes a major problem. 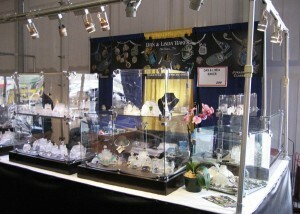 Look for us just inside the North entrance to the show (large white tent at 601 W. Simpson St at IH10). Show hours are 10am – 6pm each day, except the last Sunday, the 17th. Show closes at 4pm on the 17th. 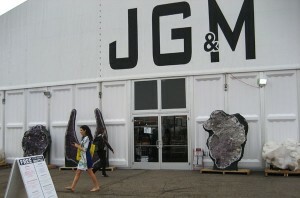 JGM EXPO, 601 W. Simpson St.